This nymph style bait seems in a state of perpetual motion thanks to the numerous tassels and the supple plastics used to mould it. 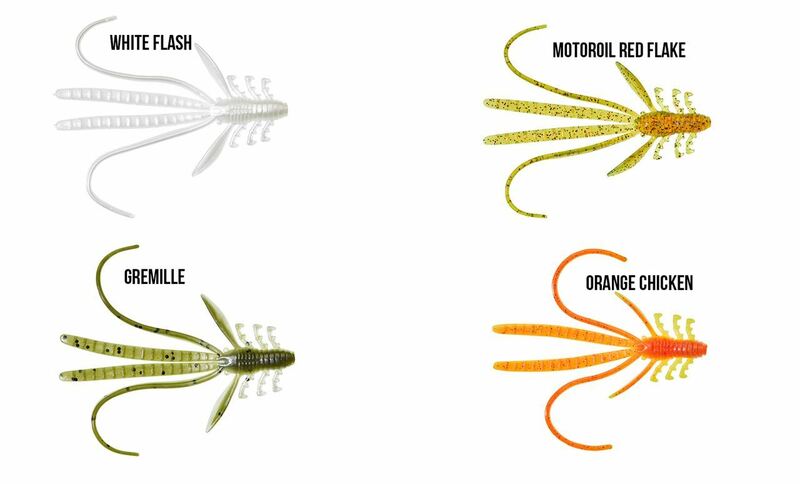 Equally at home in fast water for trout or drop-shotting for perch. 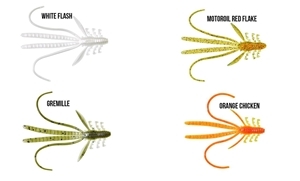 This lure is widely used by Czech competition anglers to win numerous lure matches across Europe. Match this with a G’FLIP head to optimise your chances. Flavoured with aniseed. Gunki Naiad 7 cm comes in 6-pack and the weight is 2,2gr.